Many places in the world right now are experiencing drought, which means that it’s a good idea for people living in those water-depleted areas to think about the flowers they choose for their yard. If you live somewhere that’s challenged by drought conditions, but you love flowers and want to enjoy their color and energy, consider growing the following water-saving blooms. Blanket flower is a gorgeous flower that has bright gold tips. It requires only moderate water to thrive. If you grow Spanish lavender, you’ll have a stand-out flower in your garden that doesn’t require much water at all. For informal hedges in draught areas, grow pincushion flower. It starts blooming during January and February, and it puts out water-wise showy blooms that are ideal for cutting. Sea holly offers silvery blue stems with pretty amethyst flowers on top. These low-water flowers attract butterflies. With purple buds that open up to bold blue flowers, ceanothus doesn’t need water during summertime and it provides a haven for bees. Kangaroo paw produces velvety flowers in bright warm shades. This flower tolerates drought, but it will appreciate a bit of summer water with some good soil drainage. You’ll get cute little puffy fruits (that turn from yellow to red as they mature) at the same time as urn-shaped flowers with strawberry tree. You won’t have to water much for the show, either. 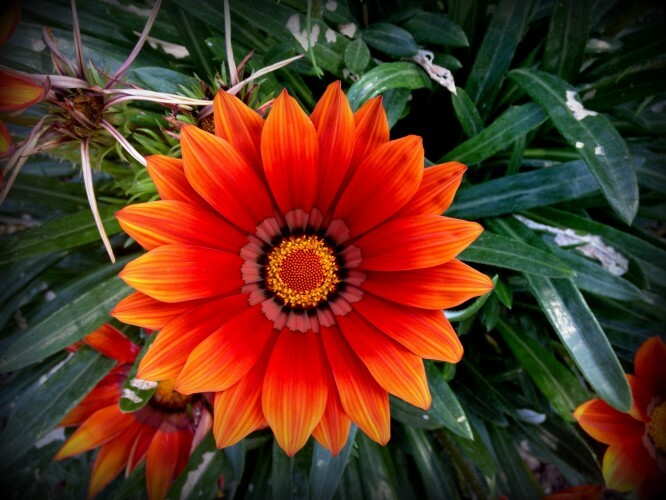 In addition to these drought-resistant flowers, you can grow African daisy (it features blossoms that change color from orange to purple) and fairy duster (a shrub with brilliant red flowers that attract hummingbirds). Do you live in an area drought-stricken area? If so, where are you and what types of flowers do you grow, if you grow them? We’d love to hear from you in the comments below. Many places in the world right now are experiencing draught, which means that it’s a good idea for people living in those water-depleted areas to think about the flowers they choose for their yard.If you live somewhere that’s challenged by draught conditions, but you love flowers and want to enjoy their color and energy in your yard, consider growing the following water-saving blooms.